Sunrise paints North Window and Turret Arch in gold one spring morning. 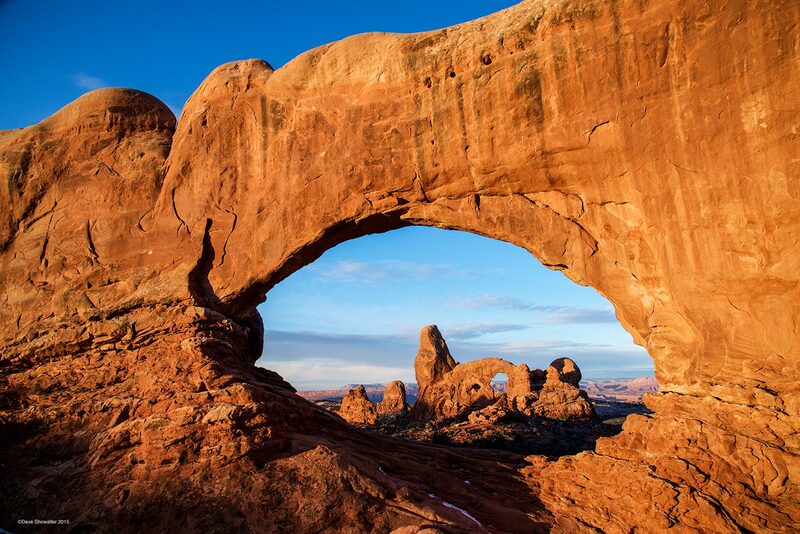 Arches National Park in home to the highest concentration of natural arches in the world and easily accessed from the town of Moab. Nearby, uranium mining poses a threat to air and water quality. Photo © copyright by Dave Showalter.